Built upon the solid roots of the Florim Group, renowned as a leader in the global ceramic sector, Florim USA is committed to continued technological innovation and to producing timeless and sustainable porcelain products. The American subsidiary of Florim Group, based in Italy, Florim USA is one of the largest and most technologically advanced porcelain facilities in North America. Florim USA believes its customers are the foundation for our continued success and we strive to provide them with improved service and support by staying at the forefront of product innovation in today’s complex market. Florim USA is also committed to the environment, observing environmental regulations through certified quality management systems and ecological processes. Florim USA is consistently improving its production efforts and the results are evident by the quality of the tile that is produced out of our Clarksville, Tennessee factory. In 2010, Florim USA was one of the first American companies to introduce HDG (High Definition Graphic) technology. 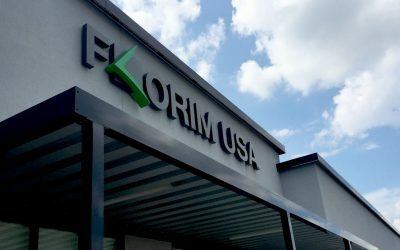 In 2012, Florim USA announced that it would begin a $60 million renovation project to reinforce its reputation as one of the most technologically advanced facilities in North America. In 2015, $12.5 million was invested in the installation of a continuous milling plant and a new high-efficiency kiln, which generated an increase in production capacity with a reduction in atmospheric emissions. In 2016, $14.7 million was allocated for installation of a latest-generation raw material handling system and a large spray-dryer with an innovative sorting system. In 2017, $13.9 million was invested into the installation of a rectification and polishing line and two grade sorting and packaging lines. $3.2 million was invested in the construction of a new building to house technical staff, featuring state-of-the-art energy-saving, heating and cooling techniques, to minimize environmental impact. Through its Milestone brand, Florim USA is proud to be a Made in the USA product with a unique Italian style. But Milestone is more than just a name and a tagline; it is a residential and commercial brand that promises people in the American market a timeless and sustainable product offering. Located in Clarksville, Tennessee, Florim USA’s manufacturing facility is within 500 miles of 34 percent of the US population*. The strategic location in the southeastern United States places Florim USA’s plant and warehouse near five major interstates, saving time, money and resources. The production space consists of six operations: body preparation, glaze preparation, press, glazing, kiln and selection. The process is considered “closed-loop,” with all waste generated throughout the six operations recycled back through the system. Our quality system efforts has allowed Florim USA to proudly obtain ISO 9001:2008 certification, measured and controlled through periodical external–internal audits and reviews by senior management. We are committed to producing high-quality products in an efficient and environmentally sustainable manner, constantly exploring the latest technological advances and best management practices. BSI Management Systems, our certifying agency, has led the way in developing management systems standards, as a global provider of management systems assessment, certification and training services.